Here in upstate New York we have had several years of odd winter weather. Either unseasonably warm, or bitterly cold (even for Rochester!). All the while these were going on, the Arctic was warmer than Rochester. We may have broken winter. This week we follow a few stories about what is disrupting the polar regions. The New York chapter of Extinction Rebellion held its first planning meeting on Thursday. Incensed and terrified by the accelerating climate crisis, activists gathered in Manhattan to discuss how they might replicate some of the successes the direct-action group has had in the United Kingdom. In London, less than a month after Extinction Rebellion activists blocked roads, occupied bridges, lay down in the street and got arrested to draw immediate attention to the climate crisis, Mayor Sadiq Khan declared a climate emergency, vowing to do “everything in our power to mitigate the risk” of climate catastrophe. Coincidence? Greg Schwedock doesn’t think so. “That was unthinkable before the Extinction Rebellion,” Schwedock told a standing room-only crowd gathered in a Manhattan co-working space on Thursday night. Dressed in office gear and “Rise and Resist” sweatshirts, accompanied by their children and at least one dog, the attendees came together with the hope that a New York chapter of the group might have similar success in sparking a response commensurate with the dire crisis. Congratulations to Gas Free Seneca, EarthJustice, We Are Seneca Lake, the Finger Lakes towns, businesses and people who stood against Crestwood’s plans to make their Seneca Lake facilities the “Gas Storage Hub of the Northeastern U.S.” And to the hundreds of people who repeatedly blockaded Crestwood’s gates, creating an unanswerable challenge to corporate over-reaching and hubris. And to all those who were willing to stop Crestwood even if it meant putting aside their personal lives, supporting others, writing endlessly, lobbying, taking the risk of getting arrested, fined and even jailed from their resistance to the industrialization of their beloved Seneca Lake. It would be foolish for area residents to accept the Industrial Development Agency’s claim that Oneonta has an energy crisis and that the IDA knows best how to solve it. We should not believe NYSEG’s capricious cost estimates for the DeRuyter pipeline upgrade. It would be equally foolish to ignore the environmental and economic benefits of conservation and renewable energy, as well as the sensible consideration that went into the Town Comprehensive Plan, town zoning and town resolutions opposing gas infrastructure and heavy industry. The $17.5 million proposal by the IDA to construct a gas plant requires that a couple of dozen compressed gas tractor-trailers come through the dangerous I-88/state Route 205 intersection daily to inject an additional 25 percent capacity into the NYSEG pipeline. Once built, we would be stuck with this gas plant, and whatever it spawned, for 30 years. Even if we need more energy, would it be smart for area businesses and residents to commit to increased payments to the fossil fuel industry through mid-century? A sip of fracking wastewater? WRITE ON: A sip of fracking wastewater? In the dry Southwestern state of New Mexico, state officials and the U.S. Environmental Protection Agency are seriously considering an attempt to clean up toxic wastewater from hydrofracked oil and gas wells so it can be used in agriculture. And as drinking water. Seriously? Recycling fracking wastewater for drinking? 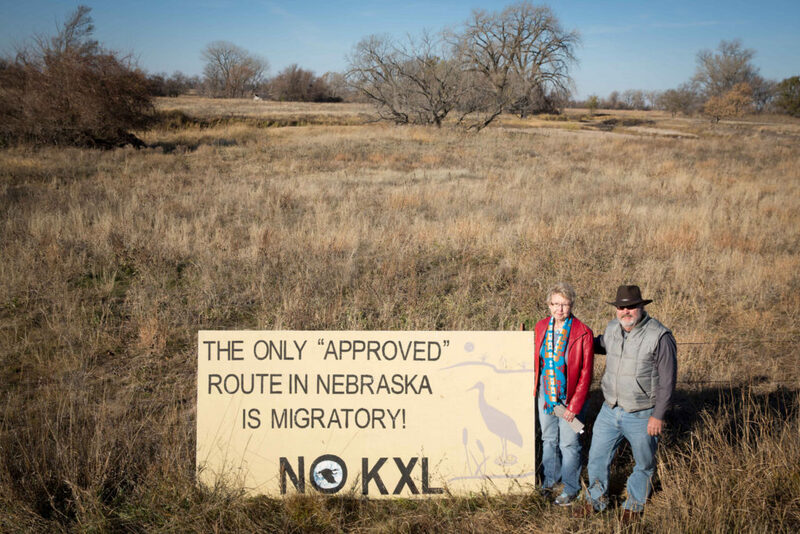 In published reports in the last two weeks, this notion surfaced against a political backdrop of keeping the oil and gas industry fiscally healthy and profitable. McQueen gushed that part of keeping the industry vibrant could include using cleaned-up toxic wastewater to irrigate crops and provide water for domestic taps. He also opined it might be used to revive dried-up wildlife wetlands. An added benefit, which he didn’t emphasize, is that it would save oil and gas companies large sums of money now spent on injecting the toxic wastewater into deep wells. If this cleanup scheme seems a horrendously bad idea, that’s because it is. Hydro-fracking wastewater is almost always disposed of by injecting it deep into the earth because the stew of chemicals in it is so toxic. The chemical-laced wastewater also often contains additional hazardous substances picked up in the drilling process, including radioactive material. The idea that fracking wastewater could be cleaned up is certainly attractive in arid oil-producing states. It takes 4 million to 8 million gallons of water to drill each oil or gas well, sometimes resulting in water shortages in communities where fracking takes place. The cleanup option is also attractive because when wastewater is injected into the earth, it can trigger earthquakes. But the technical and political hurdles are huge and complicated. The politics are complicated because the fracking industry is exempt from key provisions of the federal Safe Drinking Water Act. Climate activists are urging Governor Cuomo to declare an emergency climate mobilization in New York in response to the recent report by the United Nations that we have only 12 years left to avoid catastrophic climate change. Cuomo is expected to preview his 2019 legislative agenda, including on climate, in a speech on Monday. Cuomo’s climate efforts over the last 8 years have left NY with only 4% of its electricity coming from wind and solar. Even less progress has been made on transportation and heating / cooling of buildings which have even bigger carbon footprints. Cuomo’s reliance upon tweaking the markets has been a climate disaster. He needs to step up and be a true climate hero by committing to saving life on the planet by launching a full-scale emergency mobilization. 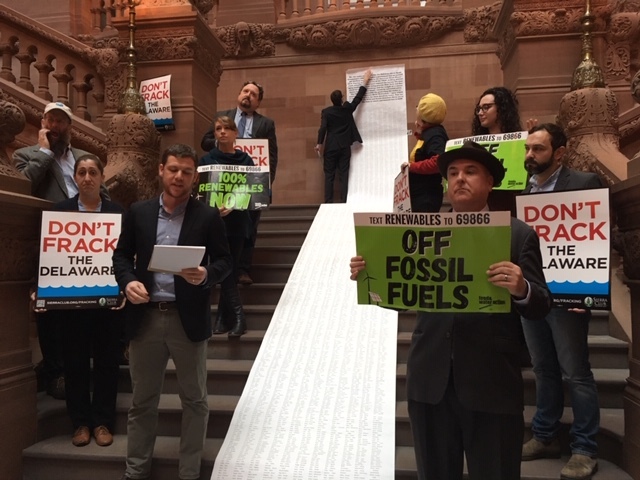 The Greens want Cuomo to support 100% renewable energy / net zero carbon emissions by 2030; an immediate halt to any new fossil fuel infrastructure (e.g., gas pipelines, power plants); a robust state carbon tax; renewable heat for buildings; increasing funding for mass transit; a goal of all new vehicles by 2025 being Zero Emission; and comprehensive state and local climate plans with detailed benchmarks and timelines. A declaration of an emergency is needed not only to better marshal and target state resources to avoid a climate disaster but to increase the state’s legal authority to take stronger action. London recently became the 11th city to declare a climate emergency, joining Hoboken, NJ and half a dozen in California. Investigators at the Public Utility Commission blamed corrosion for a leak of natural gas liquids from Sunoco’s Mariner East 1 pipeline in April 2017, and said they are concerned about the company’s corrosion-control program throughout the ageing statewide line. 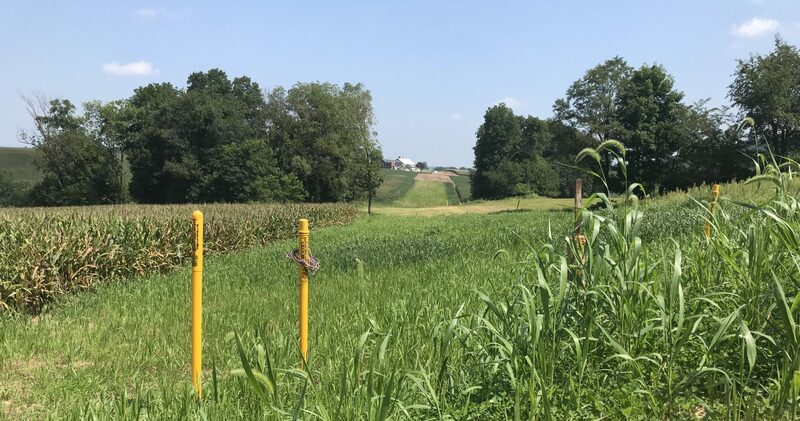 The PUC’s Bureau of Investigation and Enforcement issued a formal complaint late Thursday saying that ethane and propane leaked from the line at Morgantown in Berks County, and the leak was discovered by a resident who reported “bubbling” out of the ground on April 1. Two days later, Sunoco workers dug up that section of the pipe, and concluded that it was corroded at the bottom. That was later confirmed by a laboratory that examined an eight-foot section of the pipe, the complaint said. The company said at the time that about 20 barrels of liquids leaked. The bureau faulted Sunoco’s use of cathodic protection – a technique to prevent metal corrosion – saying that its level did not meet official requirements for minimum protection. And it said the incident raised questions about possible corrosion elsewhere along the line, which was first installed in about 1931 to carry refined petroleum products, and in recent years has been re-purposed for highly volatile natural gas liquids. “While the data reviewed was largely specific to the site of the leak, SPLP’s procedures and overall application of corrosion control and cathodic protection practices are relevant to all of ME1 and thus I&E alleges that there is a statewide concern with SPLP’s corrosion control program and the soundness of SPLP’s engineering practices with respect to cathodic protection,” the bureau wrote in the 16-page complaint. RICHMOND, Va. – A permit for the Atlantic Coast Pipeline to cross two national forests, including parts of the Appalachian Trail, was thrown out Thursday by a federal appeals court that harshly criticized regulators for approving the proposal. A three-judge panel of the 4th U.S. Circuit Court of Appeals in Richmond blasted the U.S. Forest Service for granting a special-use permit to build the natural gas pipeline through parts of the George Washington and Monongahela National Forests, and granting a right of way across the Appalachian Trail. The activists gathered at the state Capitol’s historic Million Dollar Staircase and called on the governor to expand the state’s 2014 ban on hydraulic fracking by prohibiting use of the basin for treatment and processing of fracking waste, or for water withdrawals for fracking. While the United States sided with Russia, Kuwait and Saudi Arabia to block a key climate change report at the talks in Poland, the business community is sending a clear statement regarding the dangers we face by ignoring the science behind climate change. ■ Phase out thermal coal power worldwide by set deadlines. For the complete statement and list of signatures go to The Investor Agenda. We can be a part of making a difference by asking Rep. Katko to support a bipartisian bill introduced in the House in 2018 called the, Energy Innovation and Carbon Dividend Act. Please let him know you support this Initiative by calling his office at (202) 225-3701. The list of institutions that have cut their ties with this most destructive of industries encompasses religious institutions large and small (the World Council of Churches, the Unitarians, the Lutherans, the Islamic Society of North America, Japanese Buddhist temples, the diocese of Assisi); philanthropic foundations (even the Rockefeller family, heir to the first great oil fortune, divested its family charities); and colleges and universities from Edinburgh to Sydney to Honolulu are on board, with more joining each week. Forty big Catholic institutions have already divested; now a campaign is urging the Vatican bank itself to follow suit. Ditto with the Nobel Foundation, the world’s great art museums, and every other iconic institution that works for a better world. Thanks to the efforts of groups such as People & Planet (and to the Guardian, which ran an inspiring campaign), half the UK’s higher education institutions are on the list. And so are harder-nosed players, from the Norwegian sovereign wealth fund (at a trillion dollars, the largest pool of investment capital on Earth) to European insurance giants such as Axa and Allianz. It has been endorsed by everyone from Leonardo DiCaprio to Barack Obama to Ban Ki-moon (and, crucially, by Desmond Tutu, who helped run the first such campaign a generation ago, when the target was apartheid). Divestment by itself is not going to win the climate fight. But by weakening – reputationally and financially – those players that are determined to stick to business as usual, it’s one crucial part of a broader strategy. And the momentum just keeps growing: 2018 began with New York City deciding to divest its $189bn pension funds. Soon the London mayor Sadiq Khan was on board, joining the New York mayor Bill de Blasio to persuade the other financial capitals of the planet to sell. By midsummer Ireland became the first nation to divest its public funds. And this month, a cross-party group of 200 MPs and former MPs called on the their pension fund to phase out its substantial investment in fossil fuel giants. Glick’s comments came one day before the swearing-in of incoming Commissioner Bernard McNamee, who helped craft a coal and nuclear bailout proposal at the Department of Energy that FERC unanimously rejected in January. Glick told Utility Dive he has not yet spoken about policy with the new regulator and declined to weigh in on mounting calls for McNamee to recuse himself from the resilience docket. Glick’s comments on Monday illustrate how the specter of a federal bailout for uneconomic coal and nuclear plants has hung over Washington throughout the year. In January, FERC unanimously rejected a proposal from the DOE to provide cost recovery to plants with onsite fuel, opening a longer term proceeding on grid resilience. The White House responded in June with a directive to DOE to find another way to save the plants, but that plan is reportedly on hold within the administration. 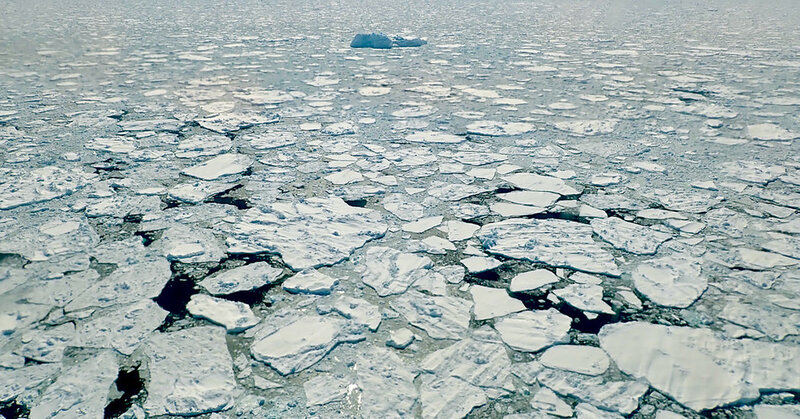 Pan-Arctic observations suggest a long-term decline in coastal land-fast sea ice since measurements began in the 1970s, affecting this important platform for hunting, traveling, and coastal protection for local communities. Micro-plastic contamination is on the rise in the Arctic, posing a threat to seabirds and marine life that can ingest debris. In its 13th year, NOAA’s Arctic Report Card (www.arctic.noaa.gov/Report-Card/) reflects on a range of land, ice, and ocean observations made throughout the Arctic during the 2018 calendar year. 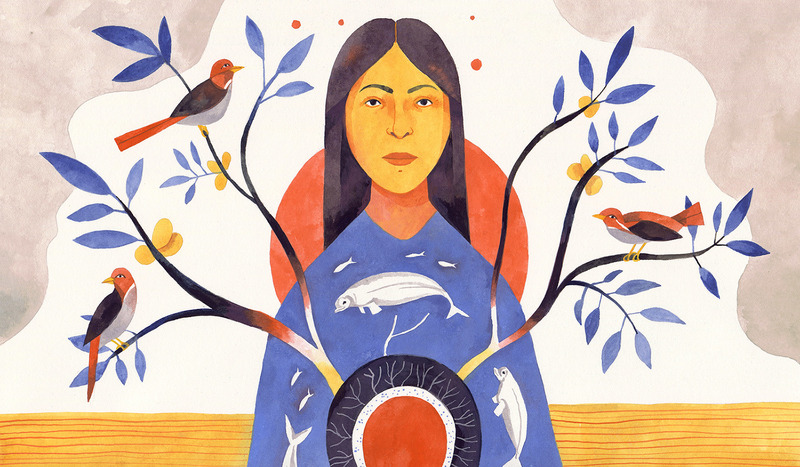 A series of 14 essays written by more than 80 scientists from 12 countries are included in the 2018 Arctic Report Card. As in previous years, this update highlights the changes that continue to occur in, and among, the physical and biological components of the Arctic environmental system. In 2018, “warming air and ocean temperatures continued to drive broad long-term change across the polar region, pushing the Arctic into uncharted territory,” she said at a meeting of the American Geophysical Union in Washington. 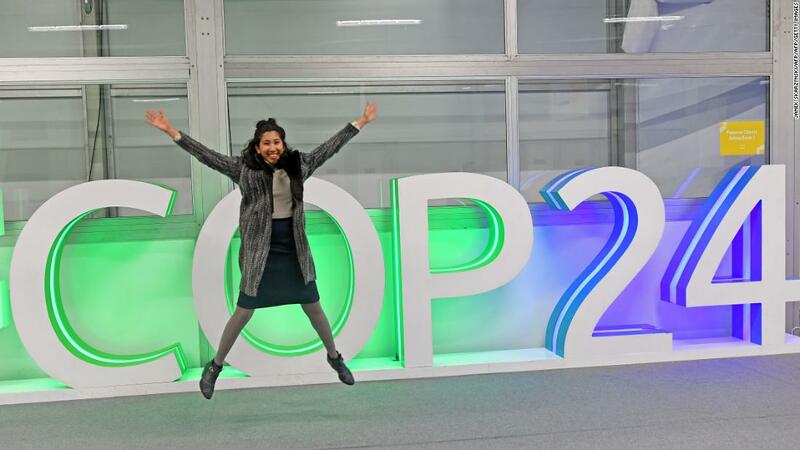 Katowice, Poland (CNN) After two weeks of discordant and emotional negotiations, the nations of the world agreed Saturday night on a set of rules meant to help curb global warming. Countries would have to do far more to curb fossil fuel use and deforestation to avoid the droughts, super-storms, deadly heat waves and coastal floods associated with global warming. This rule book is supposed to put into motion the Paris Agreement on climate change, a landmark 2015 accord that the US Trump administration has promised to abandon. Vulnerable countries, including small island states that could see their entire territories disappear as seas rise, agreed to the text to ensure the rule book moved forward, he told CNN. Utility giant Pacific Gas and Electric is being accused of falsifying gas pipeline safety records by California regulators in the aftermath of a pipeline explosion that killed eight people in 2010. The California Public Utilities Commission says it has opened a proceeding for what its staff says are “systemic violations of rules” governing pipeline safety. An investigation found that the utility falsified records over a five-year period. The investigation followed the gas pipeline explosion in 2010 that incinerated a neighborhood in San Bruno, just south of San Francisco. PG&E said it is cooperating with the investigation. Matt Nolan, who runs a mapping business in Alaska using aerial photography, was flying a small plane to the Arctic National Wildlife Refuge in the northeastern part of the state last month when he noticed a pattern on the tundra. Dr. Nolan, a geophysicist, saw a grid of tracks left by heavy vehicles involved in recent seismic testing for oil and gas exploration in an area called Point Thomson. The tracks, several hundred yards apart, were as regular as a checkerboard and ran across the landscape just outside of the refuge. Disturbances like the tracks Dr. Nolan saw could remain for decades or longer like a tattoo on the refuge, a vast tableau of mosses, sedges and shrubs atop permafrost that is considered one of the most pristine landscapes in North America. There are still signs, for example, of a much less dense pattern of tracks from the only other time testing was allowed there, in the mid-1980s, and of the only drilling pad, which was built at the same time. 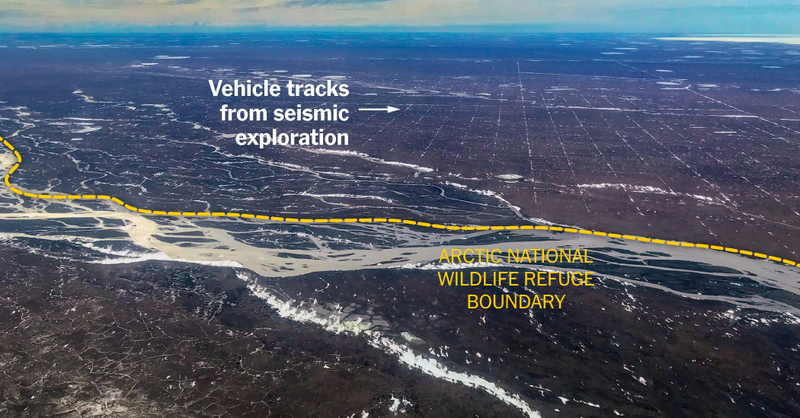 Any new tracks could also potentially alter how surface water flows in the tundra, draining lakes or accelerating the thawing of permafrost in some areas. Dr. Nolan spent most of July flying across the 1002 Area making a high-resolution elevation map that will serve as a baseline for any changes to come. When he saw the tracks outside the refuge (lingering snow and ice made some of them easier to spot) he decided to map those as well. He found that they were up to half a foot deep. Across Australia, early Europeans commented again and again that the land looked like a park, with extensive grassy patches and pathways, open woodlands, and abundant wildlife. 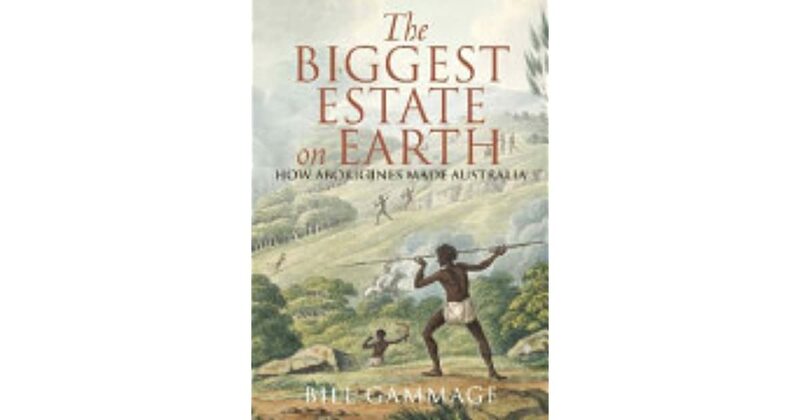 Bill Gammage has discovered this was because Aboriginal people managed the land in a far more systematic and scientific fashion than most people have ever realized. For more than a decade, he has examined written and visual records of the Australian landscape. He has uncovered an extraordinarily complex system of land management using fire, the life cycles of native plants, and the natural flow of water to ensure plentiful wildlife and plant foods throughout the year. Aboriginal people spent far less time and effort than Europeans in securing food and shelter, and this book reveals how. 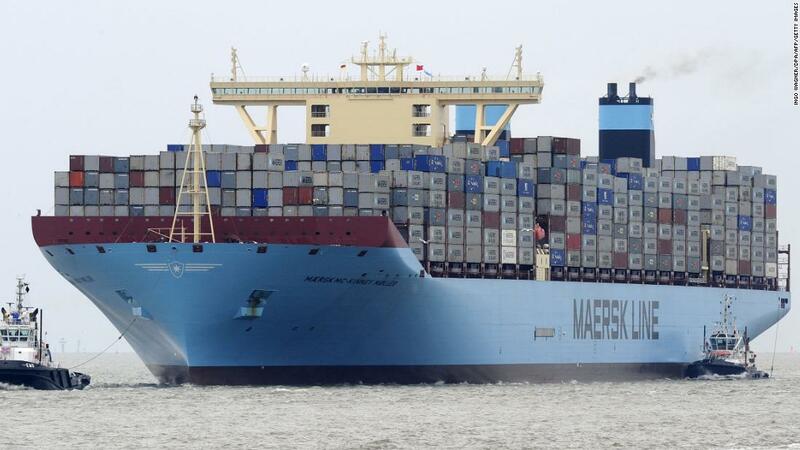 Maersk wants to slash carbon emissions from shipping to zero. Maersk (AMKBY), which is based in Denmark, said it’s aiming to become carbon neutral by 2050 and is urging other shipping companies to do the same and help it develop the technology for a new generation of vessels. The shipping industry burns huge quantities of heavy fuel oil and is estimated to account for roughly 2% to 3% of global greenhouse gas emissions, according to the International Maritime Organization (IMO). That compares to roughly 3% generated by international aviation and 11% by agriculture, according to 2014 data from the European Environment Agency. In April, the IMO pledged to reduce the industry’s annual emissions by at least half by 2050. But Maersk is pushing for it to go much further.